We work with organisations through their growth cycle, from individuals and start-ups to global leaders. We have had great success advising organisations and industries which are going through rapid transformation with consequent policy and regulatory issues. 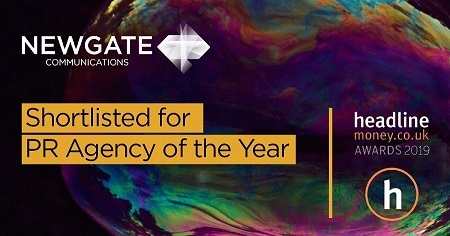 Our award-winning team comprises specialists in media relations, special situations, campaigns and in the creation of compelling content and insight-based thought leadership both in the UK and internationally. This means that we can help with positioning; message development; content strategy and execution; influencer marketing; issues management; crisis and media relations. As a team, our current clients and recent experience have been organisations undergoing rapid change, and that aspire to be leaders in their industry because they are ‘challengers’ and want to be seen as responding to that change better than their peer group. With our industry specific knowledge, we know the most important individuals and groups for businesses to be communicating with. We enable our clients to achieve their corporate ambitions and build a distinctive, valuable brand. > Alistair helps position, promote and protect corporate reputations, both in the UK and internationally. > Clotilde advises clients on their corporate and financial communications issues.